Before we talk about coffee acids, it is better to understand what an acid is,even briefly.One of the simplest definitions was given by Bronsted-Lowry after Arrhenius by using hydrogen atom or proton otherwise. However later, with the dawn of the Lewis theory of acid- base, scientific aspect of understanding acids and bases stated to be wider rapidly. Respiration,coffee processing and roasting process are the three major events where coffee acids being developed.Other than that decomposition of sugars create some considerable amount of coffee acids and volatile compounds. Organic acids in the bean create wonderful sensation upon brewing.Concentration of those acids can be differentiated according to the roasting degree of the bean.There are many organic acids can be found within a brewed coffee. 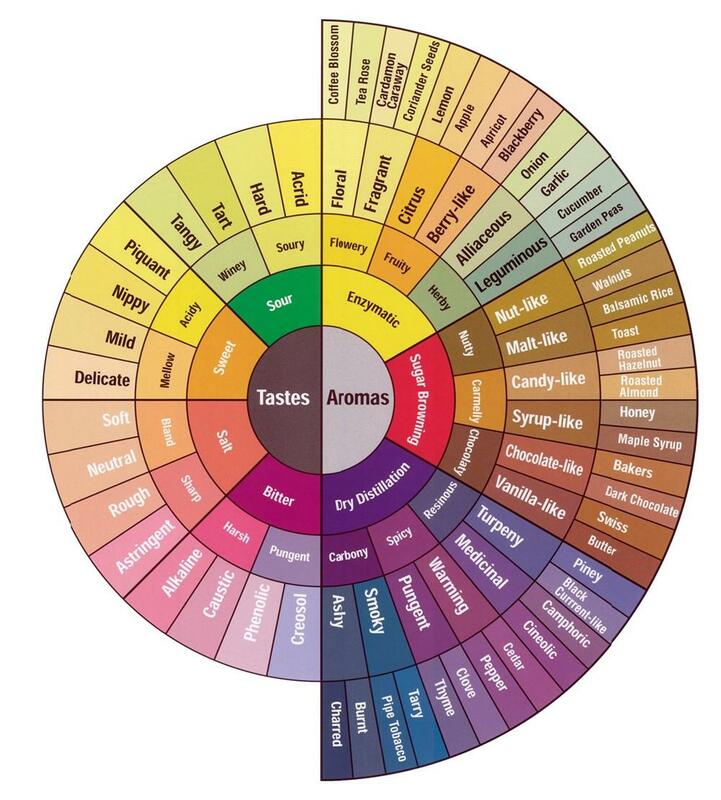 But vast percentages of them are chlorogenic, quinic and citric.Many different attributes and parameters that we can experience or evaluate in a brew,have been developed because of the influences of above wonderful acids.Such as, taste and flavour profiles,astringency or even body. 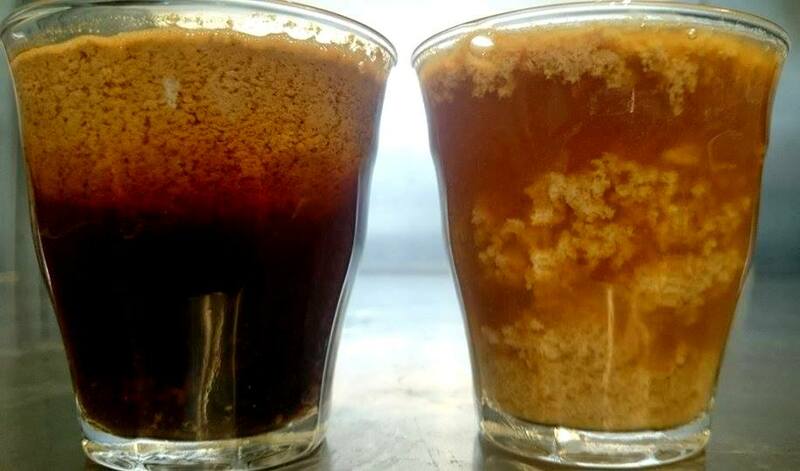 CGA is one of the major acids that can be found in the coffee.There are two types of isomers of CGA. Mono- caffeoyl acids that decompose during roasting and di-caffeoyl acids are almost unchanged during roasting and hold the responsibility for bitterness and metallic flavours. De-composition of CGA during roasting process create quinic and caffeic acids that usually responsible for higher astringency and body of the coffee. Citric acid is not produces during the roasting process but during the agricultural metabolism.Lighter the roast,coffee is more likely to obtain a higher percentage of citric acid or brightness within. Higher percentages of acetic and lactic acids are created during fermentation process. There are two types of fermentation processes. Therefore during acid fermentation,decomposed mucilage by enzymes creates above acids.This transformation or development of the acids can happen rapidly between 50th to 100th hours of fermentation process. Malic,phosphoric can be given as other low percentage organic acids relatively to above acids that bring the brightness to the coffee. Milk is one of the major components in gastronomy.It will harmoniously balance the coffee and bring the extra sweetness to the milk related beverages. Around 87% of milk usually is water. Apart from that the other major compounds of milk are proteins, fat, lactose and minerals. Protein in the milk has been suspended in a colloidal solution. That means, proteins molecules are suspended in the liquid medium of milk. This mixture is uniform. Do not settle or separate.These proteins are called casein. Now, let’s talk about what will happen to those free roaming protein molecule, upon meeting coffee. Those casein generally hydrophobic and contain repulsion energy among them, therefore free roaming or floating has been created. However upon meeting coffee, pH level of the milk starts to drop down due to brightness of the coffee. Then negatively charged group of caseins are neutralised by gathering around the acids that have been added. This phenomenon creates a separation within the milk or creates curdling. Higher temperatures of the coffee or of the milk speed up the reaction time of the process. 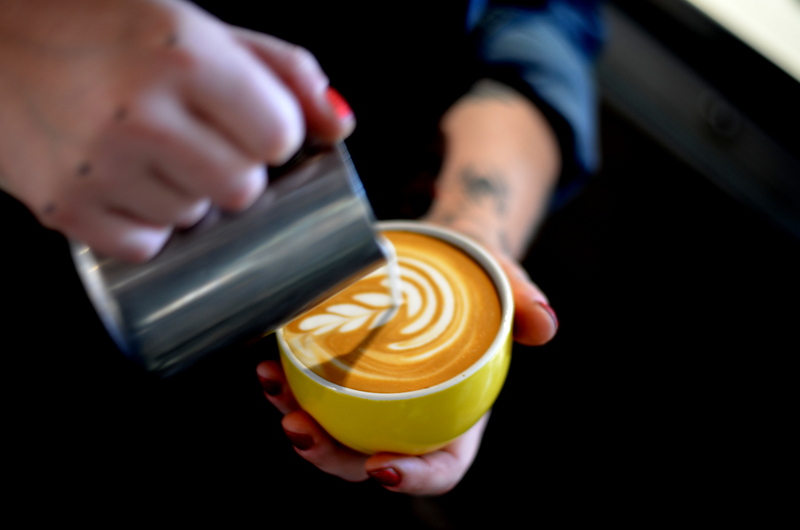 Now then, if you can see milk curdling when it mixed with coffee it directly related to the brightness of the coffee,only if milk has not naturally been produced lactic acid by bacteria (Natural curdling). Bacteria have the ability to crate lactic acid as a by-product by using lactose out of the milk’s composition. As mention above casein is suspended within milk. Somehow casein together with fat molecules together brings the average molecule size bigger than one 10th of a micron (µ), which creates a scattering of white light (visual light). Because casein molecules together with fat molecules brings the average molecule size bigger than 10th of a micron, scattered light beams are created that distinctly hold all the wavelengths of the visible spectrum of light.Also those beams are randomly scattered within the milk. Those actions together create white light to our perception. Surprisingly without fat molecules or less fat molecules average molecule size become lower than one 10th of a micron. Therefore,sometimes skimmed or low fat milk can be seen with a very little bluish colour. However,little beyond coffee gastronomy, scattering is the reason why sky is blue and clouds are white and also cigarette smoke from itself is bluish and cigarette smoke through our lungs is white. When we start to see the world profoundly,we can understand that on the scale of a coffee bean or ultimately on the scale of a human body,we can explain something of the world outside. Isn’t that wonderful? Tags: acids, Alkalinity, barista, base, Buffer solution, chemical compounds, chemical reaction, chemical reactions, chemistry, coffee, coffee acids, coffee chemistry, coffee cupping, coffee quality, coffee roasting, coffee science, curdle, dose, espresso, extraction, flavour, gastronomy, grind, latte art, Maillard reaction, milk, SCAE, sensory triangulation, speciality coffee, taste, TDS, water, water chemistry. Bookmark the permalink.